L: Charles White. Young Farmer, 1953. R: Charles White. Headlines, 1944. LACMA. Photos by Edward Goldman. 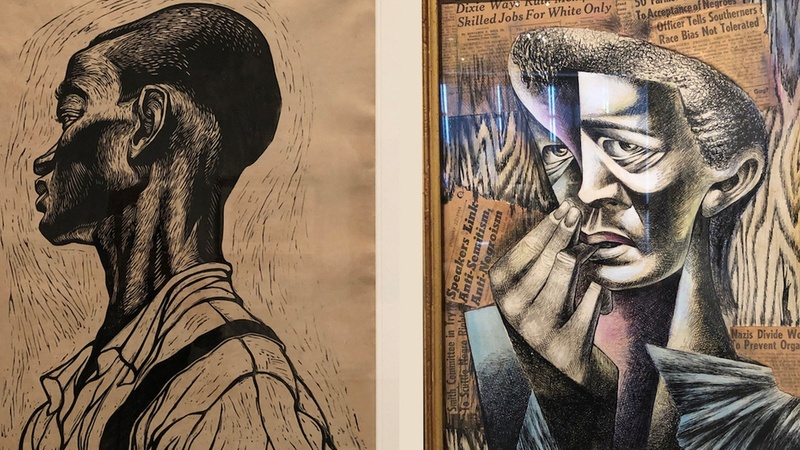 A traveling exhibition celebrating the art of the major American artist Charles White (1918-1979) has come to LACMA after previous stops in Chicago and New York. This retrospective, with paintings, drawings, prints, and photographs, follows the career and life of this African American artist as he moved from Chicago, to New York, to Los Angeles. L: Charles White. Solid as a Rock (My God is Rock), 1958. Linoleum cut on paper. R: Charles White. Seed of Love, 1969. Ink on paper. LACMA. Photos by Edward Goldman. LACMA’s presentation of this exhibition includes an additional 13 works from its permanent collection, plus an audio recording of several lectures White gave at LACMA. 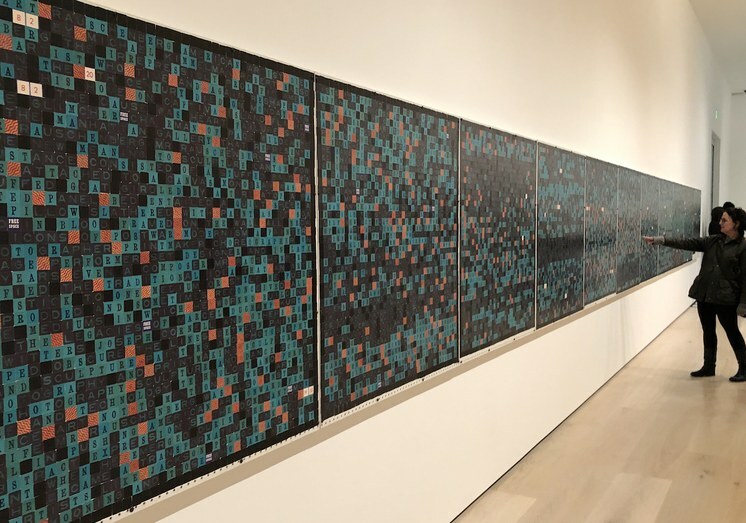 Throughout his 40-year career as an artist and social activist, White exclusively focused on black subjects, championing “racial pride and condemning institutional racism” (LACMA). Charles White. Untitled (Four Workers), 1940. Tempera on paperboard. LACMA. Photo by Edward Goldman. 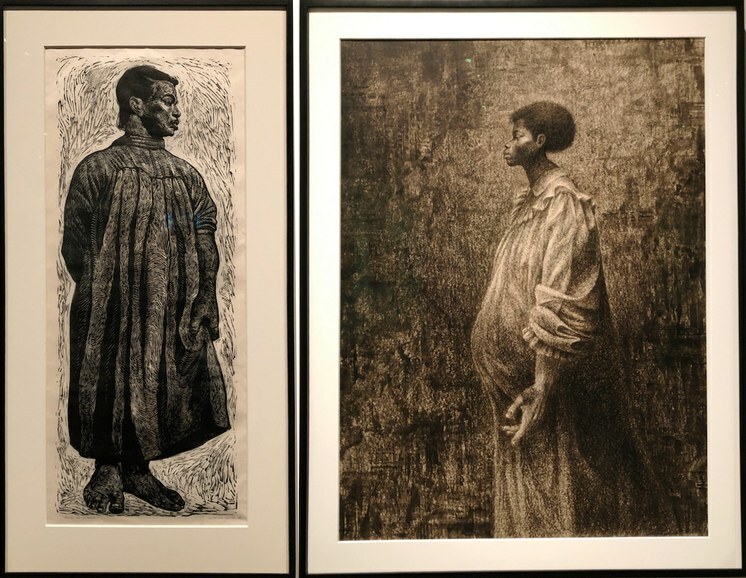 Until this exhibition, I was mostly familiar with White’s powerful, large-scale black and white lithographic prints, created during his last 20 years in Los Angeles. 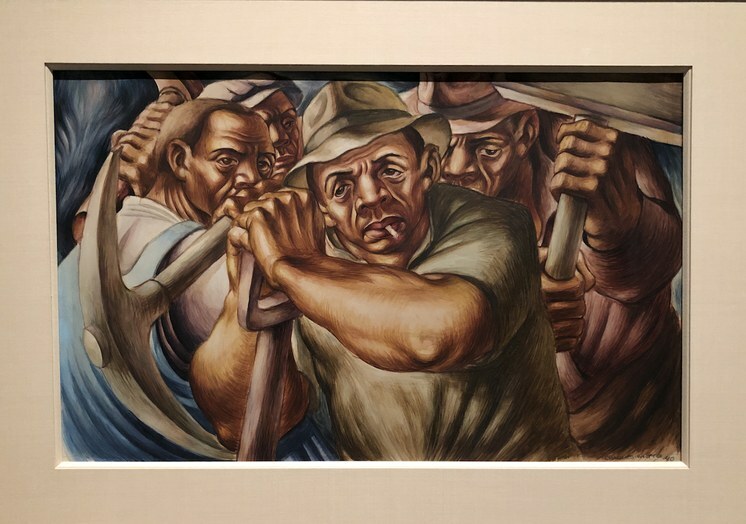 Now, I am acquainted with White’s earlier works done during his time in Chicago, when he was inspired by Mexican muralists, including Diego Rivera. 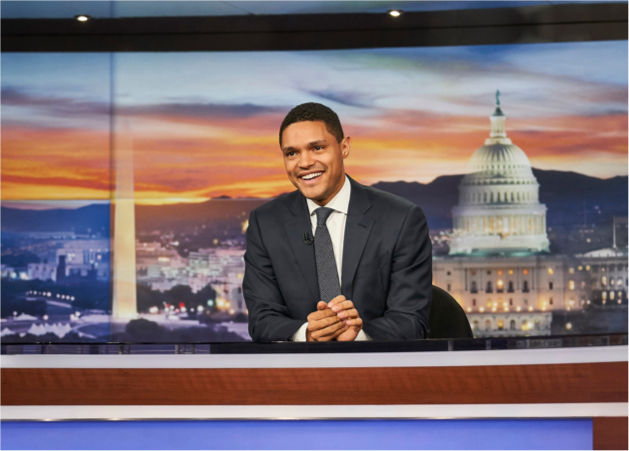 But, what was particularly intriguing to me was to learn that White, at the height of the Cold War in 1951, had the courage to travel to the Soviet Union, despite threats by the House Un-American Activities Committee to blacklist leftist artists. One can see in his paintings from this period the influence of Socialist Realism, with its heroic presentation of workers’ lives. Moving to Southern California in the mid-50s, White became fully involved with politics, filmmaking, and music, but most importantly, his teaching at what is now Otis College of Art + Design influenced his students, including artists such as Kerry James Marshall and David Hammons who are widely celebrated today. L: Allen Ruppersberg. Untitled, 1967. Collage with photograph, firecrackers, tape. R: Installation and detail shot of Picture of Dorian Gray, 1974. Marker on canvas in twenty parts. The Hammer Museum. Photos by Edward Goldman. Another major museum retrospective that must be seen is one dedicated to Allen Ruppersberg (b. 1944) at The Hammer. The exhibition received glowing reviews by the LA Times and my KCRW colleague Hunter Drohojowska-Philp. 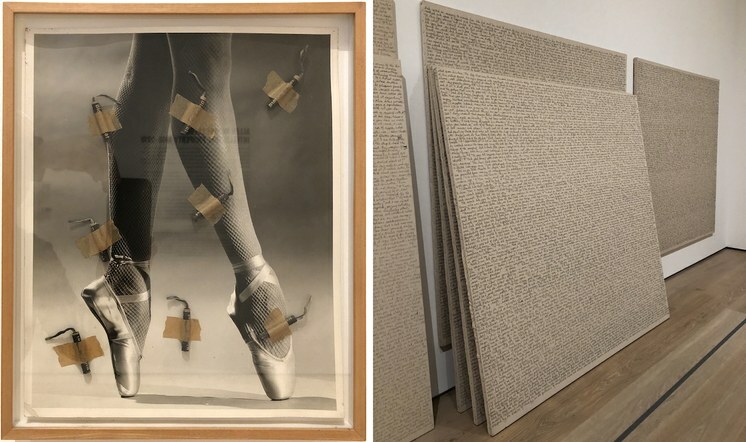 To be completely honest, until seeing this exhibition, I had a certain respect for Ruppersberg as a major American conceptual artist – but, now, thanks to this exhibition, my understanding and appreciation of his art has become so much more multi-faceted. Installation shot, Allen Ruppersberg: Intellectual Property 1968-2018. Alan Ruppersberg. The New Five-Foot Shelf, 2001. Installation with forty-four posters, fifty books, table. The New Five-Foot Shelf of Books, 2003. Artist’s book. The Hammer Museum. Photo by Edward Goldman. 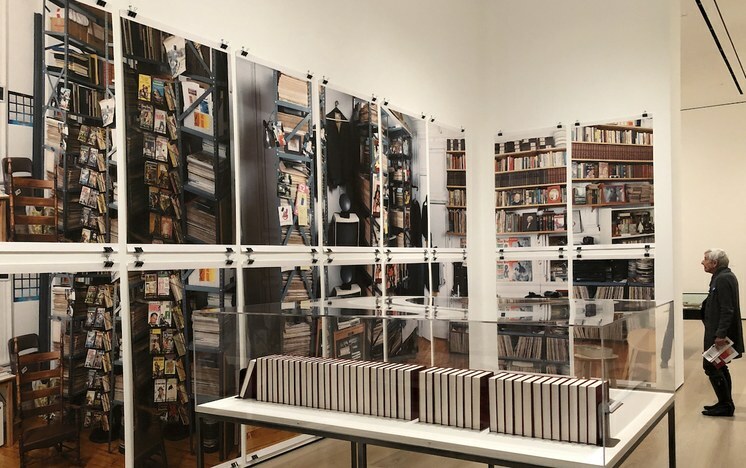 I didn’t know about his deep passion for books, until I saw a gallery covered with photographic images of his former New York studio’s library archive. Or, the gallery with 20 large canvases, in which the artist has hand-written, word for word, the text of Oscar Wilde’s The Picture of Dorian Gray. Of course, it’s a sign of admiration… verging on obsession. Allen Ruppersberg. Rauschenberg, 2014. Collage on pegboard. The Hammer Museum. Photo by Edward Goldman.